Our small utility tractor is perfect for everyday use. 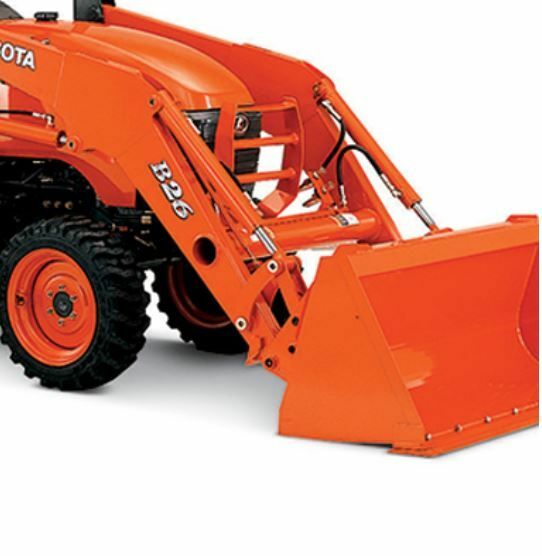 With a loader bucket in the front and many attachments to choose from including mower and tiller implements the Kubota tractor is there for any project. The adjustable skid shoes control the cutting depth while the rear tailboard controls the soil mix. The tiller is equipped with a slip clutch to protect the tiller and tractor. 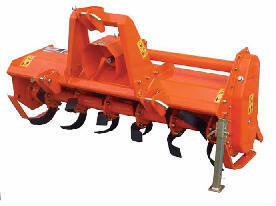 Ideal for preparing seedbeds, renovating pastures, and other tillage uses. The tiller provides uniform mix throughout the cultivated depth.